Event industry stands out as a well-equipped industry that generates employment for more than 5 lakh people; directly and indirectly. The industry gives the opportunity to the skilled and unskilled, educated and uneducated set of professionals. It is believed that if certain bottlenecks are removed by the government, the industry would flourish at an unbeatable pace. Eventaa at this juncture is trying to address various issues affecting the growth of the industry. In India, Union government on 14 February 2000 enacted the Noise Pollution (Regulation and Control) Rules, in the exercise of its power conferred under the Environment (Protection) Act, 1986 to control the increasing ambient noise level in public places from various sources. The Rule 5 of the Noise Rules 2000 restricts the use of loud speakers/ public address system. Rule 5 was amended in 2010 to restrict the use of sound-producing instruments. In such cases, written permission is necessary. The State Government has been empowered to grant permission to use loudspeaker on or during any cultural or religious festive occasion of limited duration not exceeding 15 days in all during the calendar year. But such relaxation is not permissible between 10 pm and 12 am midnight. The blatant disregard in the implementation of Noise Rules 2000 led deliverance of landmark judgment on noise pollution by the Supreme Court on 18th July 2005. It banned the use of loudspeakers between 10 pm and 6 am in public places (except in emergencies). The court also issued sweeping direction with respect to noise pollution under the exercise of its powers under Articles 141 and 142 of the Indian Constitution. Every religion has the right to freedom and the right to practice their religion. Most of the rules are applicable to Hindu festivals and to some extent other religions as well. Religious comments of various celebrities created quite a storm on social media. While a lot of people supported them, a few others spoke about the inconvenience caused by the noise generated during the celebration of Hindu festivals also. (1) The policy should be specific with regard to the decibel the way it was framed for event timings and festivals. (2) The government should identify empty spaces and grounds where there are no inhabitants nearby and the event can be conducted smoothly without any time limitations. (3) Biggest celebrations like Garba, Ganesh Chaturthi should have exemptions to play sound till early hours. (4) The government should understand people’s need to celebrate their festivals as per their requirements without hampering the rules and religious sentiments. (5) The noise pollution policy implementation authority during such events must be the pollution control board and not the police. (6) They must be equipped with adequate facts and equipment that can measure the decibels and should not be just based on timings. 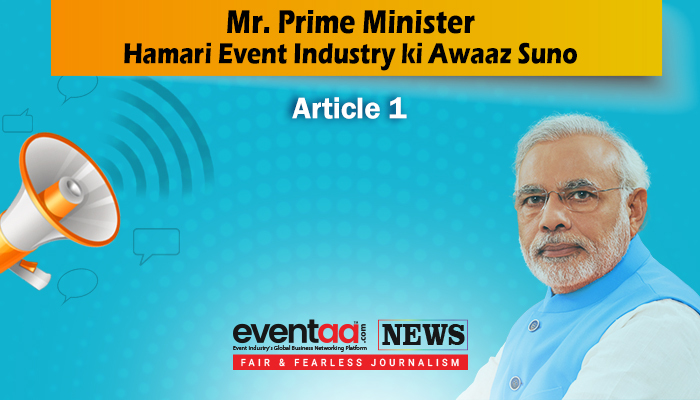 Our Hon’ble Prime Minister, Narendra Modi being the best event planner has always made an effort to bring the Indian event industry forward at national and international standards & platforms. It’s a request to the Hon PM to revisit the noise pollution laws and make amendments that are clear and precise for the event industry and also ask I&B ministry to conduct a detailed research on various policies of other countries before framing the new policy.